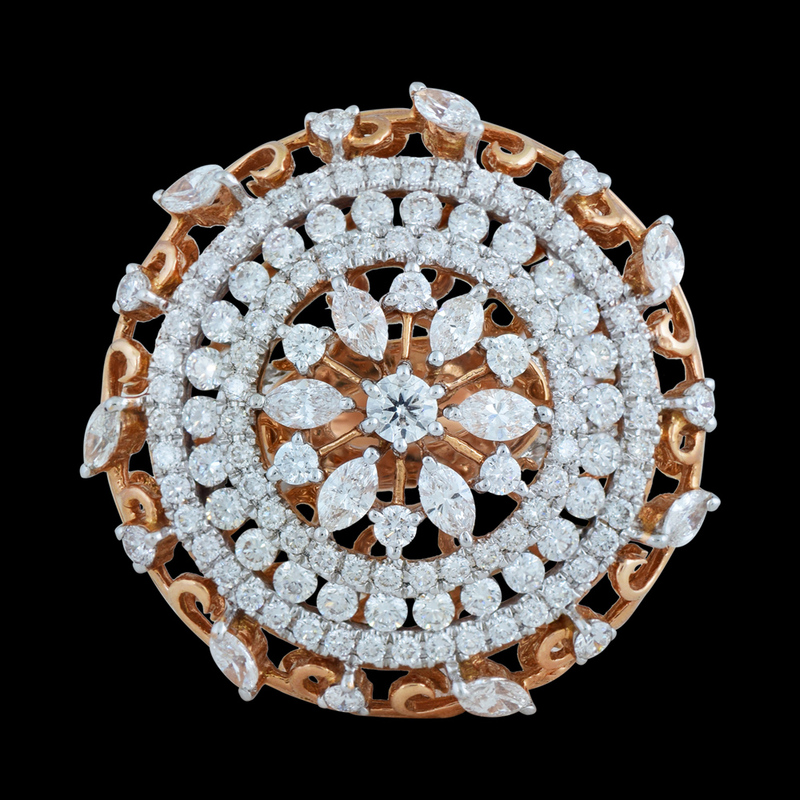 Floral Dome Diamond Ring is a huge ring that encompasses beautiful design in the shape of a big flower. The flower is beautified by 0.496CT glistening diamonds and is made of the 18KT yellow gold ring that is seamlessly beautiful and is an eye-catcher, with its latest jewelry design and lovely craftsmanship. Grab this stylish piece now and elevate your beauty quotient.